يقع Queenstown Motel Apartments في مركز مدينة كوينزتاون, كوينز تاون, هو خيار شائع بين المسافرين. يسهل الوصول إلى هذا الفندق ذو 4.5 نجوم من المطار، فهو يبعد عنه مسافة 8km فقط. يشكل هذا الفندق ملاذاَ مريحاً للاسترخاء ويمنح زواره فرصة للاستجمام والتجدد، وهو يقع على بعد خطوات من المعالم السياحية الكثيرة للمدينة كمثل: The Ivy Box, رحلات سفاري نهر دارت, Silver Fern Gallery. استمتع بالخدمات الراقية والضيافة التي لا مثيل لها بهذا الفندق في كوينز تاون. يقدم الفندق فرصة للاستمتاع بشريحة واسعة من الخدمات بما فيها: واي فاي مجاني في جميع الغرف, تخزين الأمتعة, واي فاي في المناطق العامة, صف السيارات, جولات . في الفندق غرف نوم يتجاوز عددها 18، كلها مجهزة بعناية وجمال وبعضها مزود بـ تلفزيون بشاشة مسطحة, اتصال لاسلكي بالإنترنت, اتصال لاسلكي بشبكة الإنترنت (مجاني), غرف لغير المدخنين, تدفئة. يمكنك طلب اللائحة الكاملة للخدمات في الفندق ومن بينها حديقة. إن Queenstown Motel Apartments هو خيارك لخدمة الفنادق الراقية في كوينز تاون. جميع الغرف في هذا العقار غير مسموح بالتدخين فيها. لا يحتوي مكان الإقامة على غرف في الطابق العلوي. Loads of info about the motel and Queenstown. Location close to town centre, easy to find and at the end of your stay it is easy to get out of Queenstown in your car. I like that you are able to recycle bottles, paper, etc in the four bins in the kitchen. Only little problem was with the WiFi being slow at times but at may have been the apps I was using. Lovely site, easy walk to town center. The most amazing thing about our stay was I "lost" a pair of earrings and a gold ring. The owner helped me relax and replay my movements of the previous day and I found them! Thank You! Their suggestions for activities and which provider to use were great. (many companies offer similar activities in Queenstown). I would stay here again. The owner and staff were helpful , friendly and willing to answer any questions - also great with shortcuts into and out of Town. Location and views were great; taking less than 10 minutes to walk into Town Centre. My roon was spotless and access to laundry was a bonus. Highly recommend this Motel. My sister recommended this place. Reviews are good . My partner and I stayed here for a week. Vanessa and her brother (staff) were super welcoming and accomodating. Towards the end we met another staff with dark hair and we told her we hired a car and where she recommend we drive and she started talking about her partner having a car hire business. Then we asked how we get to lake wakitupu and she goes - where???? - we couldnt get a simple answer from her so that was a little irritating. Towels and room was tidied daily (loved the plunger coffee). Plenty of room for parking when we went (october). Only a 10 min walk or less to the town, bit of a hill on the way back but we enjoyed the much needed exercise. If you're looking for somewhere near to downtown that is clean and comfortable, look no further. Diane was an excellent hostess, going the extra mile with our check-in to make us feel welcome and comfortable. The room was very clean and she actually walked through to check and make sure it was to her standards before she handed us the key. We felt very comfortable in our room with its kitchenette, soft beds and spacious balcony. We stayed for only 2 nights, but I would have been happy to stay for much longer. The walk into town is just about 10 minutes and downhill. There is a bus stop just in front of the hotel which goes into the town and to the airport, making it easy for non-ambulatory people to get around as well. Although the internet was slightly slow, Diane explained it's normal at hotels as they have to protect themselves from illegal downloaders by putting a speed-govenor on connections. 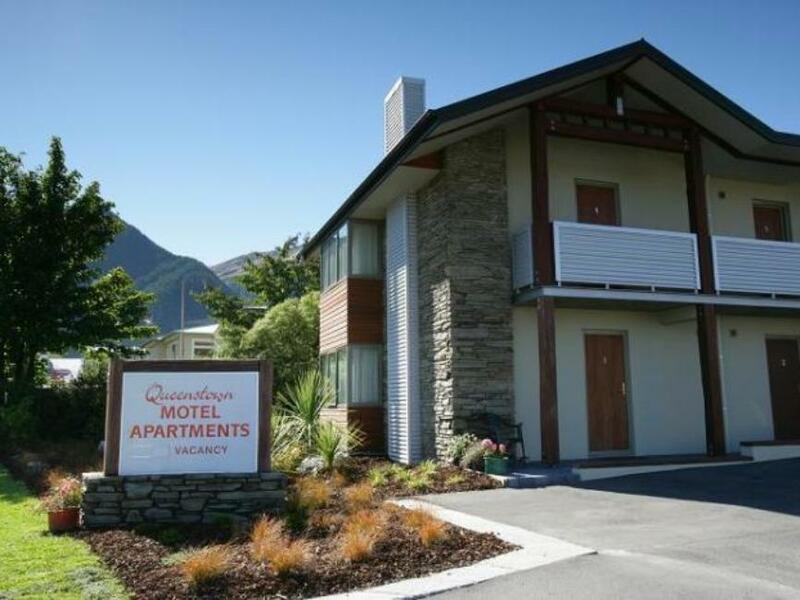 Overall, I highly recommend The Queenstown Motel Apartments for your stay in Queenstown. Our stay at the Queenstown Motel Apartments was nothing short of spectacular. The location was excellent, the facilities were fantastic but the real standout for us was the hospitality of the people that run the motel. Amazing people that made us feel super welcome. 10/10 across the board! Easy to walk into central Queenstown. Clean, modern accommodation, and a sizeable room that overlooked the lake. Our room was at the front & a wee bit noisy with traffic noise, but that wasn't a problem. We would definately recommend this accommodation. We stayed here for 4 nights and it was very enjoyable. The location is a short walk to the city centre and just across the road from the lake. For the money, we were very pleased with the accomodation. There is a washing machine and clothes line for your clothes. The internet can be slow during peak times although it is unlimited. Would stay here again. The Motel Apartment stay was very good. Staff were helpful. The apartment was clean, well appointed and the bed was very comfortable. Heating was good. Laundry on site. Excellent value for money and location across the road from conference venue, so could walk there, or into town easily. Near lake and great lake/mountain views. Absolutely satisfied with the room condition and the super friendly staff. Just few minutes from the city centre, quite and clean room. Nice bathroom amenity and big bathtub. Balcony was amazing to cool down after bath. Highly recommended. Clean room, good size, nice bathroom and adequate kitchen area. There are bins to separate your recycling and you are given a jug of milk. Washing machine and dryer available. Good sized parking space. 10 to 15 minute walk to town and all it’s amenities, it’s good to leave the car and explore without having to find a parking space. Only downside is the main road into Queenstown, it’s a bit busy and noisey, but town located apartments would be the same if not worse. Very friendly staff who made a special effort to upgrade our room, as our allocated room was having minor refurbishments completed. Laundry facilities on site for a gold-coin donation. Spacious room, a short walk from town without any disruptive loud noise. A comfortable stay. Spacious room with breathtaking lakeside mountain view. 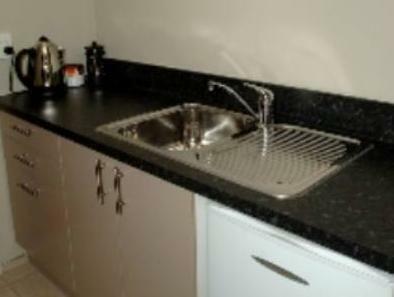 Equipped with all you need for a kitchenette. Love that they do recycling. Parking was free within compound which was considered luxurious for queenstown. Lovely receptionist lady. About 15min slow walk to town centre, good for those who drive as there was a steep slope to conquer along the way. Located near to queenstown gondola. Right next by the roadside but the traffic noise was not audible and did not bother us at all. The view from our apartment was fantastic, it was spotlessly clean, very well equipped, and within easy walking distance to town. Free off-street parking and very good free internet. Jenni & Darryl, Adelaide, Australia. The staff were very pleasant and helpful. It's the only place we've stayed in a month in NZ where all we had to pay for in the in- house laundry was a dollar for the washing powder and two dollars for the drier! 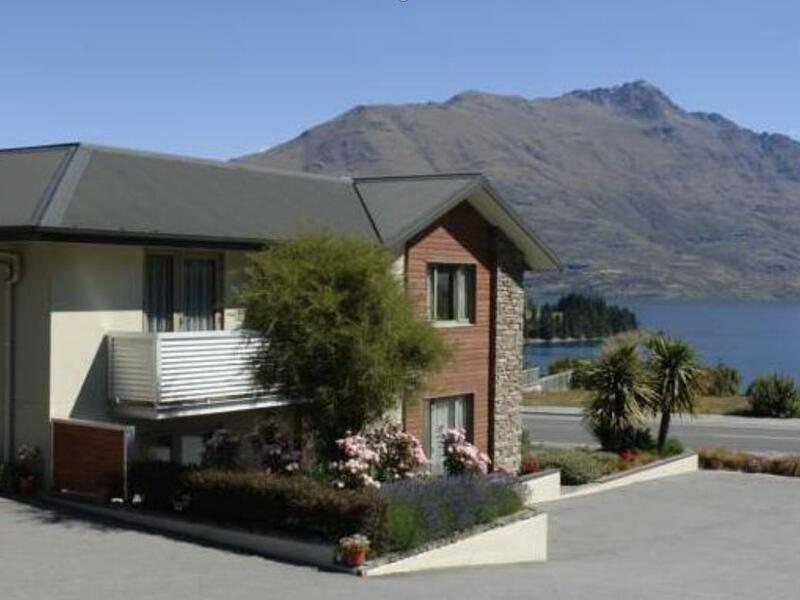 This motel is well located to town which is important as parking in Queenstown is a challenge. Room is a good size and you can open the back door for air flow. Customer service was excellent and location to town is great because parking in Queenstown is a pain in the arse. Room was great and really good value for money. The only slight downside is the main road into Queenstown is busy and therefore noisy but this was not a show stopper.